For those marathon binges when you’re too lazy to move, Netflix have invented a special mind-powered headband that allows you to control your TV with the most minute of movements. The idea came out of a recent ‘hack day’ at the entertainment company where employees had 24 hours to come up with innovative concepts which could lead to new products. The headband device, which has been dubbed MindFlix, allows users to use their head to scroll through the Netflix library and, amazingly, select shows to watch by simply nodding their heads. 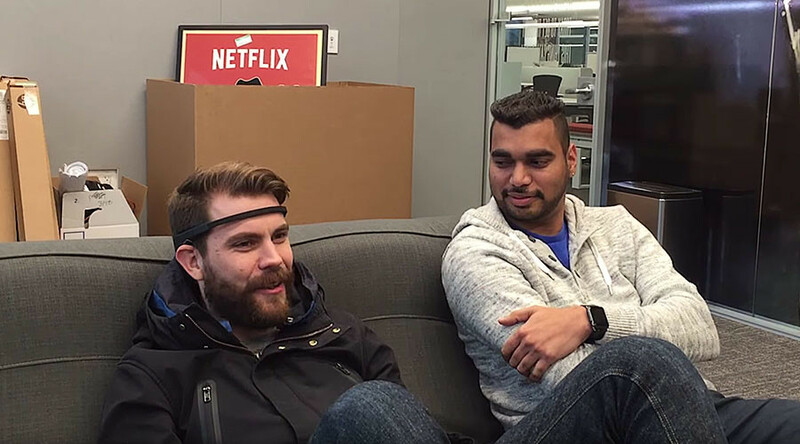 To create the prototype, the “hackers” used a brain-sensing headband made by Muse, which is designed to help users meditate, and modified it to be able to flick through the Netflix library. Users can scroll through items using head movements and, when they think "play" on a particular show, the video will start playing. This senses brain activity and performs pre-established commands. However, don’t expect the device to be widely available any time soon as Netflix says the innovations from their hack days rarely make it past the prototype stage. “While we’re excited about the creativity and thought put into these hacks, they may never become part of the Netflix product, internal infrastructure, or otherwise be used beyond Hack Day,” the company said.